In this video I speak of the importance of knowing thyself from the stand point of being in touch with your physical playing needs. This video is focusing on the embouchure and what it requires to keep itself in good playing order. This is of course a very individual matter, and from my experience can be extremely different from player to player. 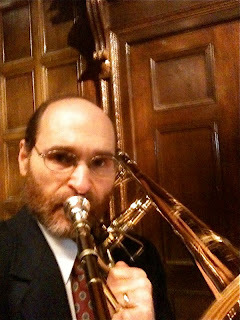 If a player is in touch with the whole of themselves and is a serious practicer, one can see and feel trends of how certain types of playing affects the embouchure. Just like foods that can cause allergic or other wise unpleasant or unhealthy symptoms, so can our practice diet alter the course of what our embouchures can and can not do. To speak of the embouchure without speaking of the air support systems is a bit incomplete. But in my own experience, it is very clear ( most of the time! ) 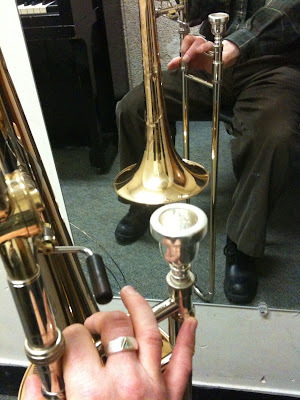 what to practice to change how my embouchure is functioning and to prepare it for very specific tasks. My intention is to have more videos on the first overlay,( which we refer to as the automatic robotic systems of playing ), discussing, demonstrating and offering practical exercises to be experimented with by those who would be interested to take a try. 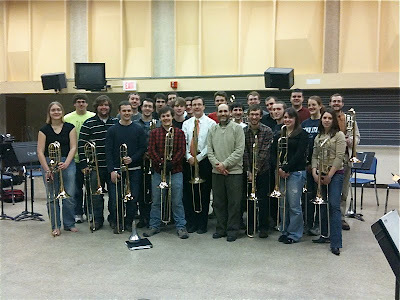 The annual Brass Bash at New England Conservatory is Sunday, February 21st, at 8PM in Jordan Hall. Every year since its conception, at least one of my compositions has been played. The range of pieces is usually limited to trombone choir or large brass ensemble and sometimes brass ensemble with percussion, large antiphonal brass choirs or brass ensemble with a soloist. This year is different. 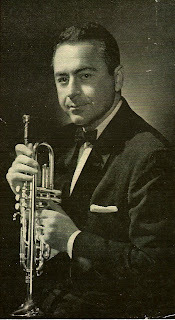 On the program will be the world premiere of my new piece "Tribute" for trumpet choir. The NEC trumpet class will perform this work with Peter Chapman conducting. Peter asked me to write this piece a few months ago. 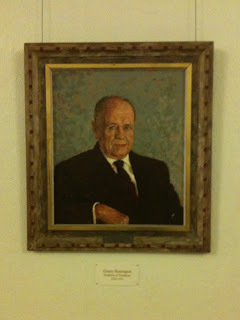 He was already familiar with a piece I wrote in memory of Armando Ghitalla for his memorial service back in June 2002. 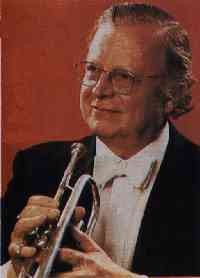 So Peter wanted me to write two more pieces inspired by great trumpet players. He suggested Roger Louis Voisin and Adolph "Bud" Herseth. The work now has three movements each dedicated to one of these players. Mr. Ghitalla's piece written in 2002 is titled "Inspired Remembrance." The other two movements use the names of the other great trumpeters as the titles. Each movement has threads of orchestral repertoire that reminds me of each player and I think others would associate these pieces with the artists as well. 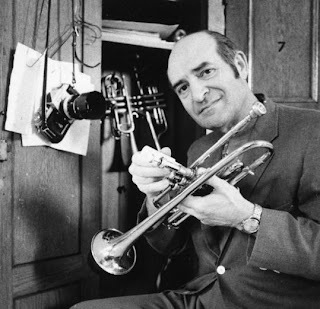 It is always a joy for me to write about the various musicians who have inspired me over the years and these great trumpet-musician icons surely have been inspirational! 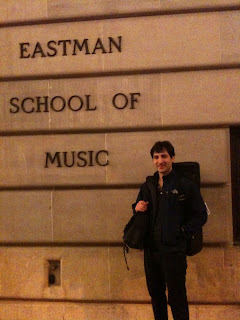 I had a wonderful time at Eastman! It was great to feel the history of this famous school and to work with the students. Wonderful facilities all the way around. The top picture was taken right before I had to leave to go to the airport Thursday evening. It is the Eastman Trombone Choir. We had a very engaging trombone choir session where Mark Kellog participated with the students, which I was very touched by. We did some 'special' tuning and positioned ourselves to play "Onward" from "On With the Battle of Life" and the ending "Wish" part from "Katrina Contemplation and Wish." These two pieces were recorded last January on our Frequency Band CD called "Phoenix." 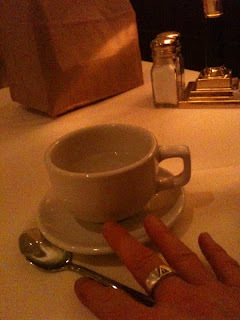 After we really connected to the "Onward" movement and finished playing it, the room was filled with a sense of a huge ocean of possibilities with the a strong feeling of 'it can be done' to make the most out of our lives. It was breathtaking. I asked the group, "Should we do another piece?" and one young man said, "If it's going to do that again!" So we did get ourselves tuned to play the "Wish" part of "Katrina" and, yes, 'IT' happened again in another way. We all played it from the thoughts of hope to wherever or whomever we felt needed it. We all were in something together. I gave them a proposition, one that Carol and I always say to people, "Let's start anew trend away from 'digitized manufactured playing' and go for the live spirit of the music as the most important thing. Maybe it will catch on!" 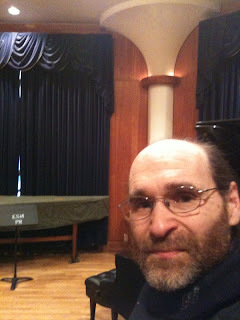 The picture below was when I was warming up before the lecture/recital in Kilbourn Hall. Beautiful Hall with lovely acoustics. 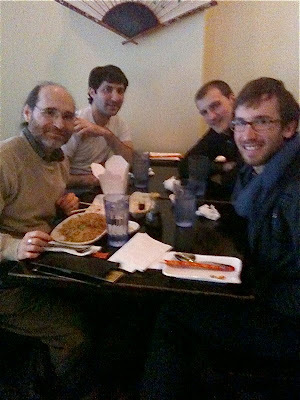 The pianist that worked with me was a wonderful DMA student named Matthew Waters. He was very receptive to my concepts and did a terrfic job with two not-so-easy piano parts, "Morning Walk" and "The Song of King David." The Master Class on Wednesday was very well attended. Several students played individually and then one section played doing excerpts from Mahler's 3rd symphony. I applauded them for their openness and willingness to try some new and different approaches which yielded very tangible results. A wonderful group of students to work with! I want to thank all who made my trip possible including Jamal Rossi and especially Mark Kellog. 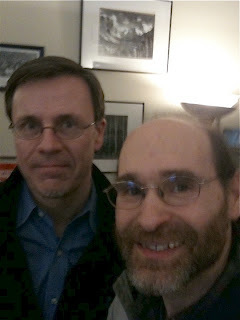 Mark studied with me in the BUTI program in 1981 (gulp!) at Tanglewood. He was a gifted high school student and a real gentleman. Twenty-nine years later he is still a marvelous musician and gentleman. Bravo to Mark and 'Doc' Marcellus for their great work at Eastman and to the students themselves. It was a real joy and honor to work with you all. Thank you and I hope it works out again sometime. BRAVO! Since my last post it's been really busy! The lecture/recital, teaching and master class went really well. Many people have said they've been inspired which is good to hear! I've been having a great time with everybody too! Today is really busy also. I've been teaching and have trombone choir soon. Then I go immediately to the airport! Here's a photo from lunch today. From left to right: Me, Arthur, Cy and McMillan. I'll write more when I'm back in Boston but now it's back to warming up! Another great day in Rochester and it's not over yet! Lecture/Recital is tonight! This afternoon was the dress rehearsal for tonight's Lecture/Recital. Here are a few photos from today so far. Myself and Mark Kellogg in his studio. 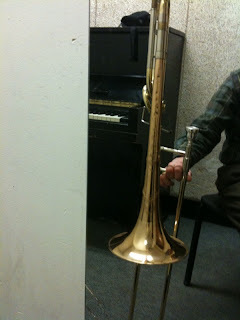 In the practice room with my custom 'bent-dent' trombone by Shires. This photo doesn't really show the bent feature very well. Now on to serious connecting and tuning for tonight's lecture/recital. More soon. I arrived safely in Rochester last night. It's really great to be here! 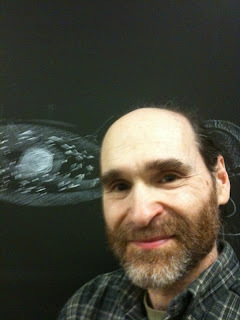 Last night, I was met at the airport by Arthur Thovmasian (photo) and McMillan Gaither! That was so nice of them and it was great to meet them! We picked up some food and then I got in some practice before the day ended. Today I jumped into private lessons (the photo shows a drawing I did for one of the students). Then I rehearsed with my pianist and Mark Kellogg for the Lecture/Recital tomorrow night! Mark is on the faculty and is such a great guy! We'll be playing my duet for tenor trombones "The Archer" on tomorrow night's program. Here's a photo in the rehearsal room. I'll write more about all of this soon but thought some of you might enjoy some photos in the meantime!